Capsized and sunk 1986, raised 1987 and sold, then anchored near Deal Island MD. Here is a link to the story of the sinking! 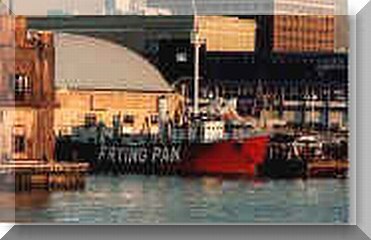 Back to Frying Pan Shoal Lightship Station History.